Very DVRC by Very Hong Kong is coming this Sunday 25th Sept, all are welcome to enjoy the natural breezing and shake off the air con on that day. 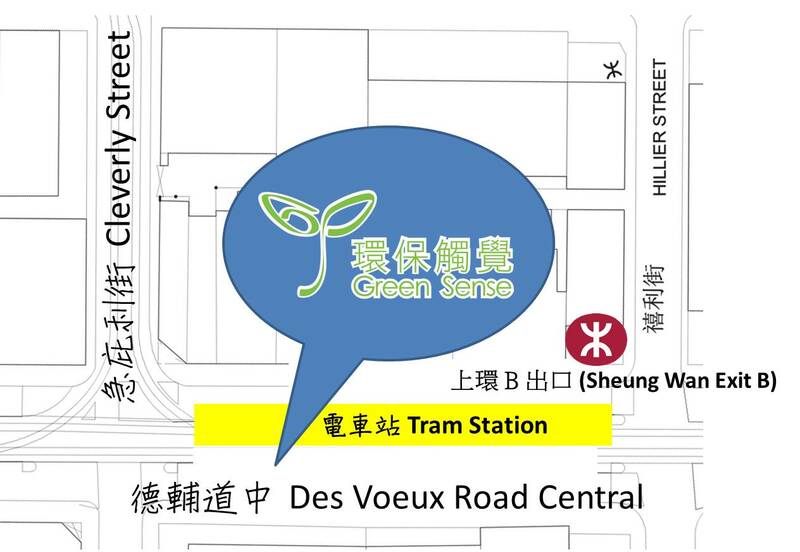 Green Sense will have "Very ( ) No Air Con" Workshop to promote the HK No Air Con Night at the public open space. 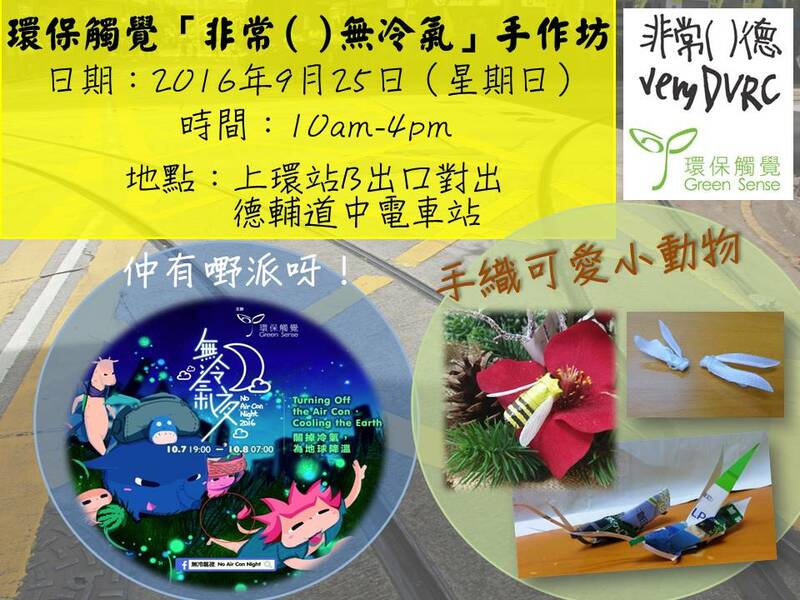 Our counter is setting up at the Tram Station opposite to Sheung Wan MTR Exit B. Volunteer tutors will introduce DIY artwork with waste, transforming to petite animals. No Air Con Night paper fans will also be delivered to the public.